The internet is full. Now, what we need, is an army of curators to make sense of it all. With hundreds of million of websites at your disposal, there’s no shortage of information online. But how much of that is actually of any use? Well, the answer’s entirely subjective. Whether you’re a philatelist with a fixation on postage stamps, or a celebrity gossip junkie who can’t get enough of Perez Hilton, the amount of available information online to satiate your thirst for knowledge is likely to differ greatly. 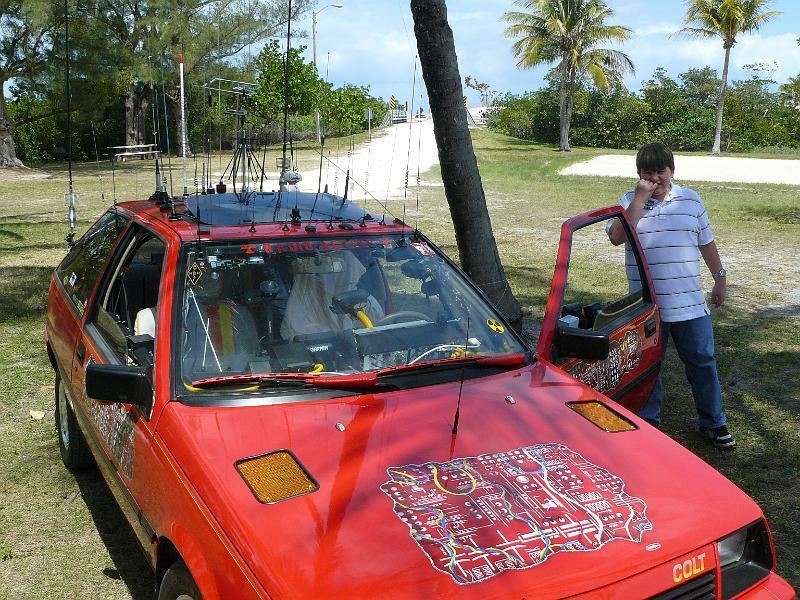 Thankfully, there are filters in place to help us through the cacophonous crackle of the white-noise Web, and arrive at the information we’re looking for – Google and RSS feeds are two such examples. And we choose who we follow on the likes of Twitter, based on what they have to offer our own individual needs. There’s a growing market for content curation, where people dedicate time to sift through the information rubble and extract the best articles, videos, photos…whatever…for a particular audience. Techmeme, for example, pulls together all the best pieces from across the many technology blogs and news websites, and arranges these links into a single, easy-to-scan page. It’s partly automated, but it does have direct human editorial input too. Content curation, in a nutshell, means finding the most relevant, high quality content on a given subject and sharing it with a specific target audience. 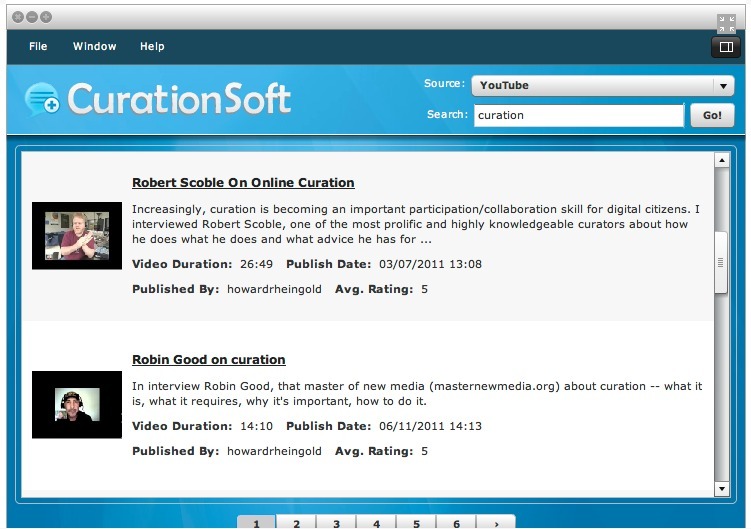 And CurationSoft is a new tool to help the content curation cause. 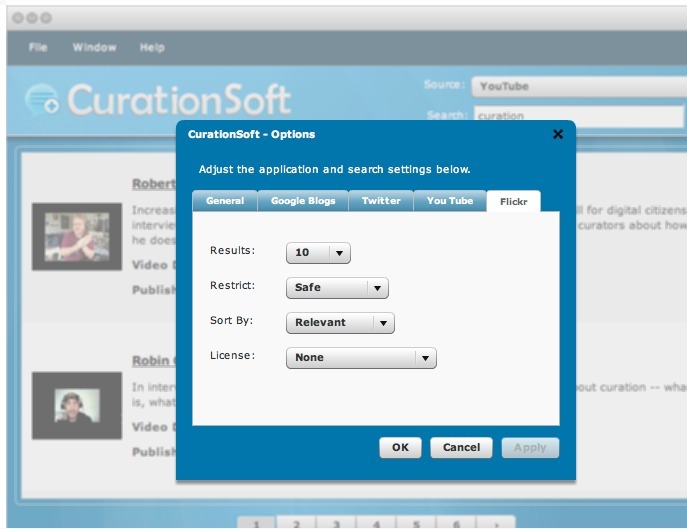 CurationSoft is a software startup based in Indiana, in the north-east of the US. 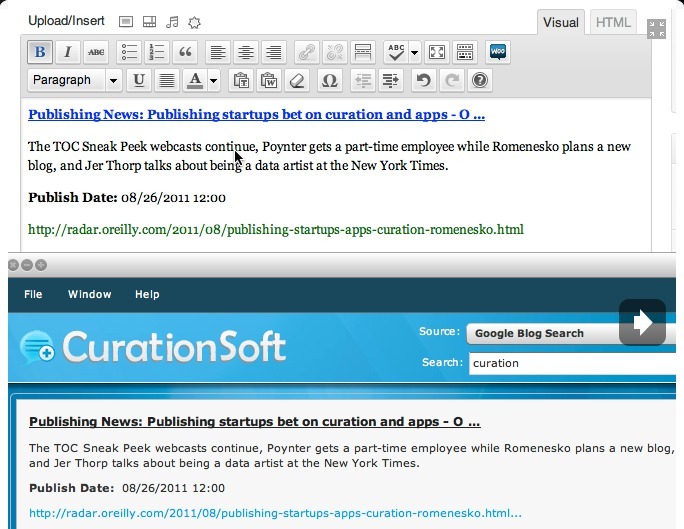 The desktop software lets publishers gather content from across multiple platforms, and publish it as a single piece. So, for example, if you’re writing a blog post on the troubles in Libya, you can search for online content within CurationSoft and drag and drop it into your editing pane (e.g. in WordPress). You can glean content from across YouTube, Google Blog Search, Twitter and Flickr. 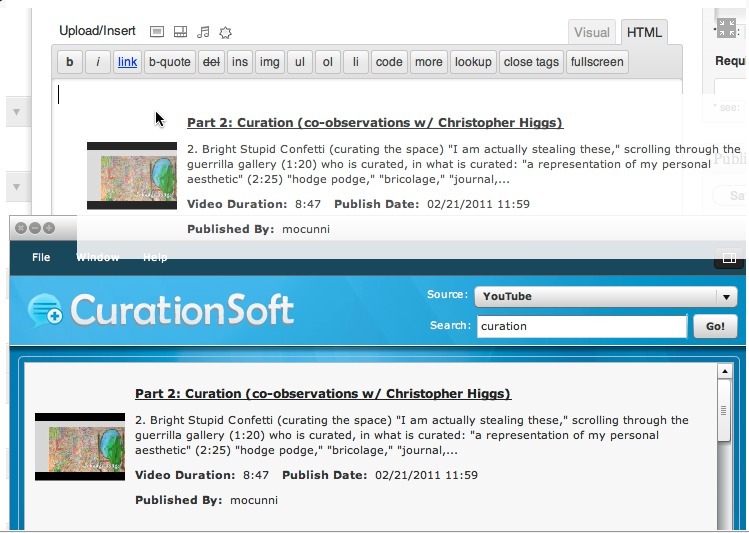 CurationSoft lets users drag and drop content anywhere an editor is used, so in addition to WordPress it would work on the likes of Blogger and Squidoo too. And, it also lets users curate on Google+. The software isn’t free though, a single user license for a year costs $39.95, whilst a lifetime license costs double that. So if you are looking for paid content curation software, it’s probably worth going for the lifetime license. There are additional license packages available for groups and small teams too, with a tiered pricing structure in place.